Chinatown is one of Philadelphia’s most vibrant and diverse neighborhoods, offering cultural opportunities, nightlife and, of course, an unparalleled restaurant scene. At Chocolate Works apartments near Chinatown in Philadelphia, residents can be just steps from all of those opportunities. The neighborhood is known for its rich cultural roots, having attracted generations of Asian-American residents and business owners dating all the way back to the 1800s. The area saw a population explosion in the 1960s and started flourishing into the busy and bustling center of commerce and creativity that it is today. Chinatown is now bordered by Vine Street to the north and Filbert Street to the south, and Broad Street to the west and Seventh Street to the east. Residents of The Chocolate Works apartments near Chinatown in Philadelphia live just four blocks from the heart of the neighborhood. There, they’ll find dozens of world-class restaurants with international flavors. Restaurants serve authentic dishes in the style of everything from Cantonese to Taiwanese, offering genuine cultural cuisine across a range of sit-down, take-out, and fine-dining establishments. Locals from throughout the region flock to Chinatown to explore the standout restaurant scene, making the neighborhood a hub of activity and tourism. 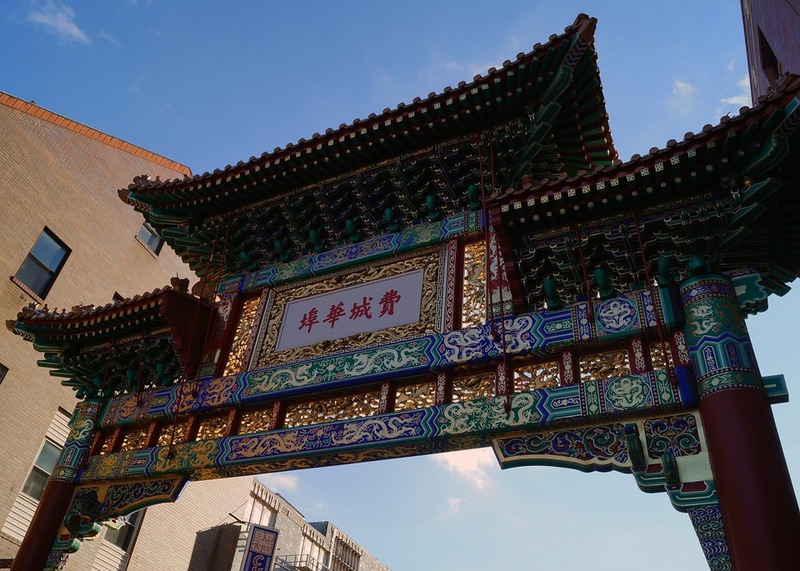 Among the most popular tourist spots in the neighborhood is the Chinatown Friendship Gate at 10th and Arch streets. It was gifted to the city of Philadelphia by its sister city Tianjin in China in 1984. The 88-ton architectural marvel reflects the colorful patterns of early Chinese construction and tells the story of Chinese culture and history through its design. The neighborhood is also home to a diverse shopping and nightlife scene, with shops offering handcrafted Chinese items alongside popular entertainment venues like the Trocadero Theatre, which brings live music, comedy, and other performance art to Chinatown nightly. Apart from all of the excitement happening in the neighborhood, Chocolate Works apartments near Chinatown allow residents to be conveniently located near many of the area’s other neighborhoods, including Old City, where residents can be immersed in the city’s rich history. Chinatown is also just a short walk from Center City, Philadelphia, the hub of the region’s dining, entertainment, and shopping districts, and home to a number of public-transit lines that connect to points throughout the region. Contact The Chocolate Works apartments to schedule a tour today.